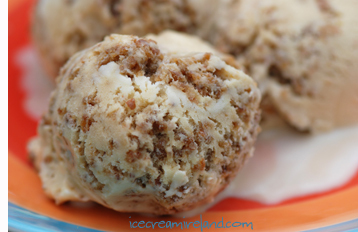 I have to say I have never had brown bread ice cream but it sounds lovely and not too unhealthy, it’s got a bit of fibre in there 😉 and anything with Whiskey is a bonus. Congrats on the success of the food festival. Wowy..that looks gorgeous. What kind of brown bread would you recommend? Would McCambridges be ok? Sounds lovely – very tempted to try it out. Could you make it without an icecream maker? Also, should it really read 200 cups of milk? Nice, sounds delicious! Any recipes though that dont involve making the icecream? Had my first brown bread ice cream at an Irish Pub in Phoeniz, Arizona USA. Found your receipe and it looks great – can’t wait to try it on my friends in Texas. 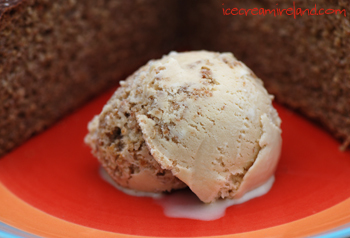 my aunt makes brown bread ice cream and it is delicious. I have heard you can make ice cream easily using a quality pre-made custard instead of all the hoo-ha with the egg yolks. Anyone tried this or think it would be a good idea? Years back, around 2006/2007, I used to buy brown bread ice-cream. And I’m sure it was made by McCambridge. I must’ve been the only one buying it though because all of a sudden, it was gone and I couldn’t find it anywhere!